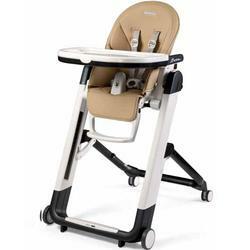 Type-approved for children from birth. 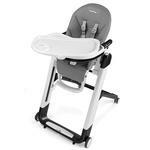 Siesta has 9 different height positions. 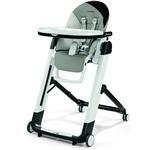 The backrest can be reclined into 5 positions. 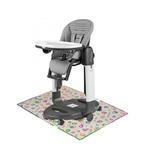 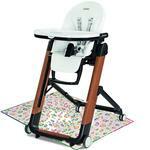 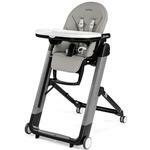 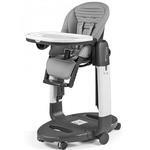 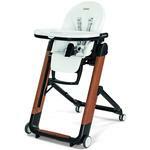 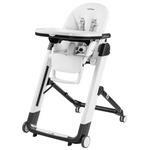 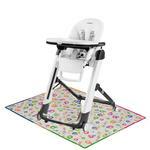 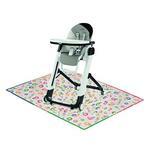 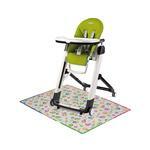 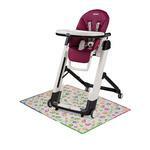 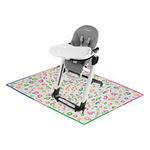 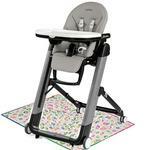 High chair footrest is adjustable to 3 positions. 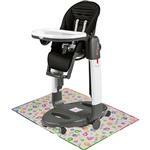 The cushion cover can be cleaned with a damp cloth. 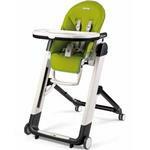 Double tray with removable, dishwasher-proof top section. Practical rubber-coated storage net on back of seat. 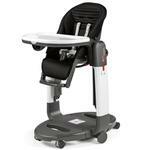 You can move it anywhere, thanks to the “Stop & Go” brake system. 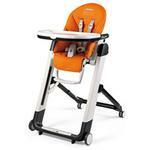 The 5 point safety strap and anatomic front bar strap retain your child in complete safety. 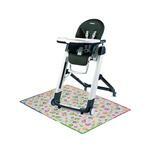 Padded cushion for Peg Perego high chairs or stroller. 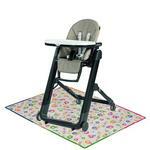 Winter side made with cozy matelasse jersey and summer side made with 100% cotton. Fits in any Peg Perego stroller or high chair.